My bike will soon undergo the final transformation to become the ET James/Moto Rally Services EXC. The custom graphics are being designed and printed by The Grafix Shack, who have done a really nice job - thank you Liam and Rob. 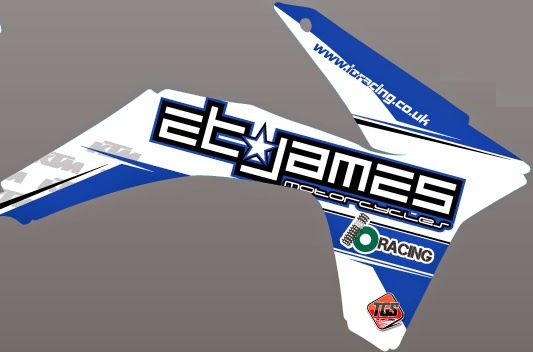 I can't wait to fit them to the bike, in the meantime, here's a sneak preview of the design.